Hemp oil can be of various types depending on ways in which it is processed. Skin Gourmet’s cold pressed but unfiltered hemp oil is dark green and unclear liquid. It has a nut like flavor that is somewhat grassy. Unlike our oil, refined hemp oil is colorless and lacks much of the original flavor of our unrefined hemp oil. The refined version also lacks in many nutrients that are present in hemp seeds naturally. 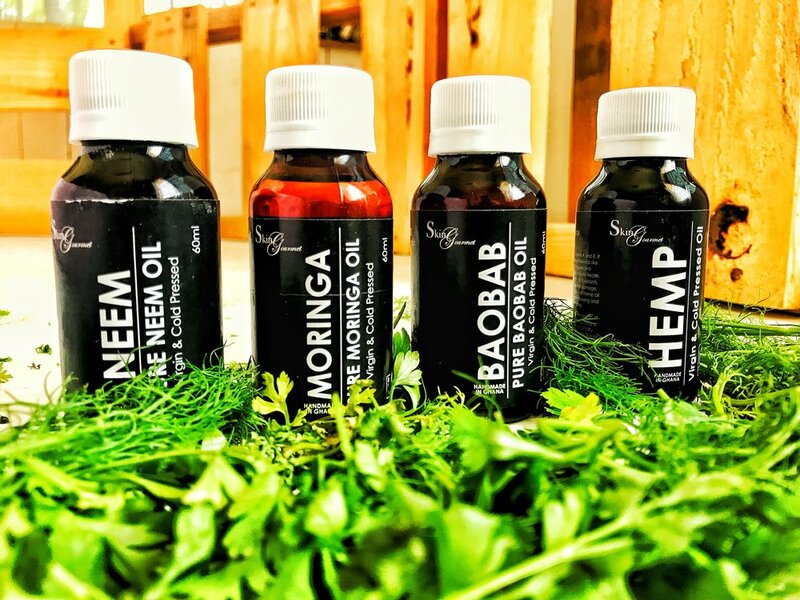 Hempseed oil is very rich in PUFAs ( polyunsaturated fatty acids ) which have been noted to be extremely healthy and strongly anti-inflammatory. Within about 20 weeks, the plasma lipid profiles of patients changed considerably. Their blood now contained more of healthy fats, which was doing their skin good. Omega – 3 and omega – 6 fatty acids in hempseed oil were responsible for such an effect. People who suffer from chronic inflammatory diseases should try hempseed oil. It’s so rich in omega -3 and omega – 6 fatty acids, which are strongly anti-inflammatory. These essential fatty acids are required by the body to lower systemic inflammation. With regular use, one can clearly see an improvement in inflammation and even pain in conditions like arthritis. 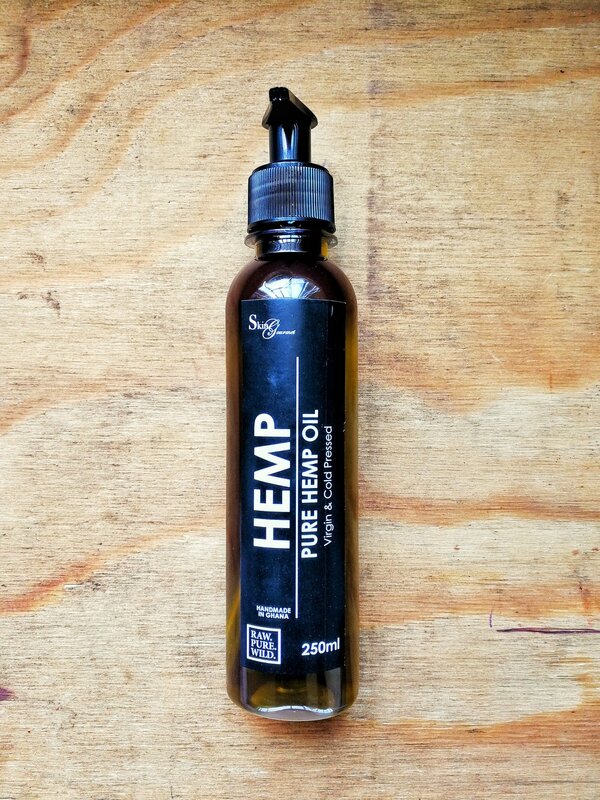 Using hempseed oil in diet has a beneficial effect on acne. Its omega – 3 fatty acid content aids the body in reducing inflammation of the skin. This reduces the redness of pimples and may also prevent future breakouts. Preventing breakouts with topical solutions can be very tough, as many products, even many natural oils are comedogenic ( block pores ) and may lead to breakouts. Anti-aging – Hemp oil can have anti-aing effects on skin. It improves the composition of epidural lipids (fats in the outermost kin layer) and improve the overall functioning of skin. Improve water resistance – hemp oil protects the skin from reverse osmosis effects of water which causes skin to lose its nutrients. This explains why your skin looks dull after a shower, especially in places where the TDS in water is high. Tip: If the oil feels too dry, mix it with olive oil for a better “oily” feel. This is helpful when doing a massage. In that case, you don’t want the oil to get absorbed so quickly. 2. Association of Expanded Disability Status Scale and Cytokines after Intervention with Co-supplemented Hemp Seed, Evening Primrose Oils and Hot-natured Diet in Multiple Sclerosis Patients. Soheila Rezapour-Firouzi,,Seyed Rafie Arefhosseini, Mehdi Farhoudi, Mehrangiz Ebrahimi-Mamaghani, Mohammad-Reza Rashidi, Mohammad-Ali Torbati, and Behzad Baradaran. NCBI.